With the summer months in full swing, it’s possible that your child needs to get their nose out of their phone, their bottom off the couch, and into a fun and healthy activity to keep them entertained in a productive way! 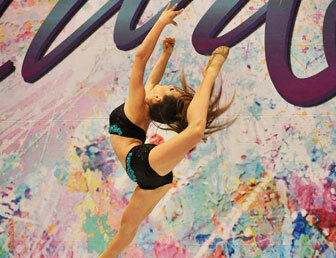 Here at Dance Obsession, we provide an array of kids dance classes in Palm Beach Gardens that will have your kiddo anxiously awaiting the next session. While it’s a common misconception that acro classes just give children the opportunity to jump around and do handstands, the class is actually very technical and offers benefits for your growing child that will extend beyond the confines of our dance studio. Here are just a few of the benefits that acro provides. One thing that acro class provides, and asks for, is a strong sense of coordination and balance. This is key in order to perform front and back handsprings, aerials, and more. This also requires a certain level of discipline. After just a few classes, you and your child will notice significant improvements in these aspects. And as a bonus; they’ll likely be able to walk around the house on their hands, which is a pretty cool trick! Flexibility is a huge component of the class, specifically back flexibility. This will help your child have a better range of motion in their muscles, as well as have them more prepared for more advanced classes such as ballet. Overall, flexibility will keep their joints and muscles healthy even after class. 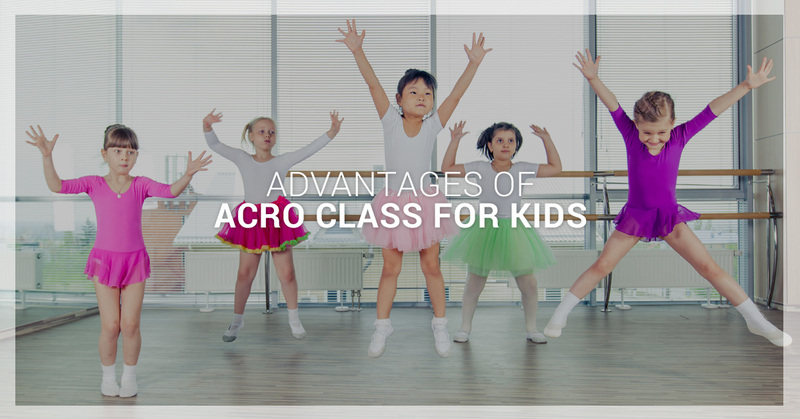 It may not seem like it since they’ll be having so much fun, but acro class is a great way for them to build up their upper and lower body strength. Especially at a young age, it’s important to instill a love of being healthy and taking care of your body. As your child grows stronger, they’ll realize how happy it makes them and will continue on the path of a healthy lifestyle. One of the biggest benefits of signing your child up for acro classes is seeing them grow into a socially active and confident person. By working together with other members of the class, as well as our dance teachers, they’ll begin to realize that everyone in the class has the same interest in dance! Even if your young one is shy, as they begin to memorize the choreography and work with their classmates, they’ll form strong bonds and find themselves new friends. This will directly tie into their self-confidence as they realize they’re not alone. What are you waiting for? 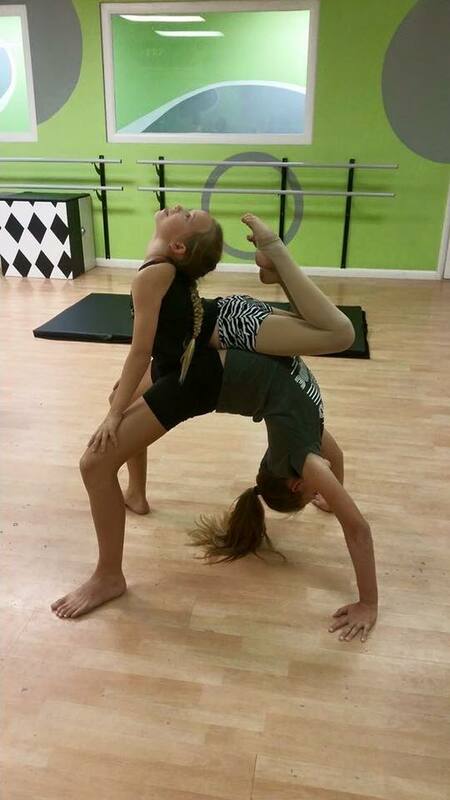 Not only will your child love our acro class, but gain friends, muscles, and coordination along the way! We do ask that they are able to perform front and back walkovers, cartwheels, handstands, and backbends before joining the class. If they’re not accustomed to these skills, no worries! Just sign them up for our tumbling class and they’ll learn! Make the summer a time for fun, learning, and healthy activity! Contact us now and sign your child up today!